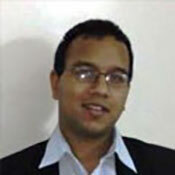 Siddharth Ramana is an India-based consultant for Realite-Eu and www.worldanalysis.net. He is a visiting fellow with the Institute for the Study of Asymmetric Conﬂict (ISAC), a contributor to the International Analyst Network and a visiting lecturer with the Indian Foreign Service Institute. He has previously worked in research positions with the Institute of Peace and Conﬂict Studies(India), the British American Security Information Council (UK) and the International Institute for Counter-Terrorism (Israel). His research interests include nuclear non-proliferation, nuclear safety and security, and terrorism in West Asia and South Asia. He has written extensively on these topics, and has given media interviews on the same. He is presently working on his latest paper outlining Pakistan as a factor in India-Iran relations.